This post is the last part which gathers common problems along with solutions about accessing SQL Server using JDBC on NetBeans. By defer posting this a few months, I found many problems that may occur from many people and also solutions. So this post will benefit people who want to develop application to connect a SQL Server using JDBC and have problem with it. You received this error message while compile code in part I. The JDBC library file is not loaded properly. 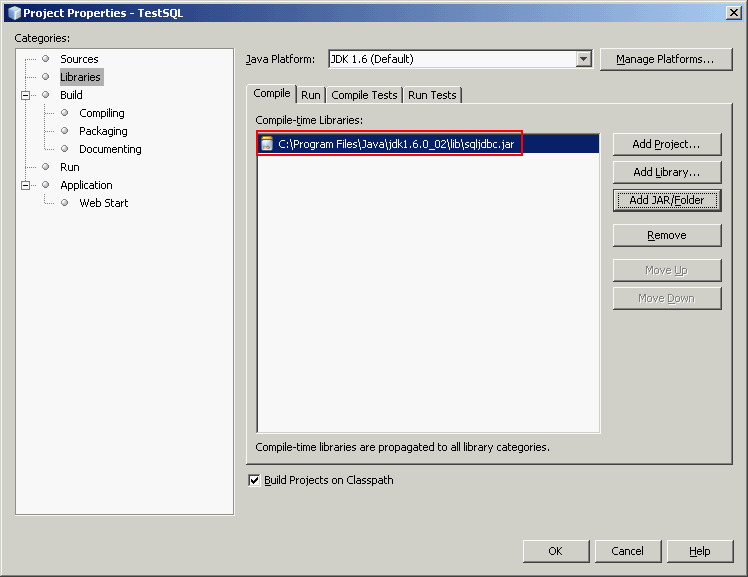 You may not have add the library file “sqljdbc.jar” to the project. Add the appropriate library to the project. Refer to part I: create a connection. You may have typed your connection string incorrectly so the JDBC driver couldn’t understand. (Optional) portNumber is the TCP port of SQL Server. Default port is 1433. (Optional) DatabaseName is the database name on SQL Server. UserName and Password are username and password for login to SQL Server. This user must be SQL Server authentication mode. Note: Database name is an optional. For more complex connection string, refer to MSDN – Building the Connection URL at Microsoft. In this example, I mistype “jdbc:sqlserver://…” to “jdbc:sqlserver:\\…“. You try to connect to a SQL Server which has not SQL Server service running or the service refuse to accept remote connections. Recheck your connection string that you have type server name and port correctly or not. Check that SQL Server is running. If SQL Server is on remote host, try to check that you have allow remote connections on the server. To enable remote connections on SQL Server, try visit Enable remote connection to SQL Server 2005 Express. Check firewall which may block the connection from client to server. SQL Exception: com.microsoft.sqlserver.jdbc.SQLServerException: Login failed for user 'sa'. This error message states clearly that you have provide wrong username or password that connect to SQL Server. Recheck username and password again. You need to add ‘sqljdbc_auth.dll’ to the system path. This file can be found in Microsoft SQL Server JDBC Driver. It resides in sqljdbc_1.1\enu\auth\x86 depends on your JDBC driver and system platform (x86 or x64). You can set the java.library.path to the directory where ‘sqljdbc_auth.dll’ is. Note: If the path contains any spaces or special characters, you have to use double quotes “” around the value (ex. “your directory”). now wat things i hav to do more, how to map the textfields to database? 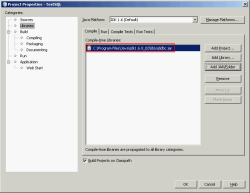 Have you read Accessing SQL Server on NetBeans using JDBC, Part II: Perform SQL Operations? I think it can be applied to what you want. i try to telnet port 1433, but result connection failed, although my Sql Service is running… can any one help my problem? i already turn off my Firewall.. n i already check thats my sql active port is 1433.. why i can;t telnet port 1433? – The firewall between your computer and SQL Server has blocked telnet protocol. – The SQL Server is running on this port. – The SQL Server service is not running. So you need to check if the firewall on SQL Server or on your network are blocking the telnet protocol or not. You can try to telnet on SQL Server itself to avoid firewall on the network. Next, if you can telnet but still unable to connect in java. Try to remove the port number in the connection string (You can omit the default port). my problems are still unsolved, or assuming that it works in your PC, can i have the spesification of the PC such as what is the OS, what is the version of SQL Server (2000 or 2005), and other requirements. So i can try from zero. Thanks alot. About environment in the tutorial: Windows XP SP2 with NetBeans 5.5 and SQL Server 2000 SP4 on the same computer. I suggest the best way is to develop on the same computer first (connect to SQL Server on the local machine). Is there any error message when you established a connection to the SQL Server? The TCP/IP connection to the host has failed. 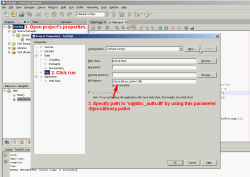 Ok, in Netbeans I have a proxy configured and it could not connect through that proxy. Once I turned the proxy off, it connected just fine. thank you for this very useful content. everything worked fine after doing excatly the way you meant. to the host localhost, port 1433 has failed. Error: “connect timed out. though that i’ve verifed from Server Network Utility that the TCP/IP protocol is enabled and is listening on port 1433.
i can connect to the server through query analyzer though. i wonder what’s wrong? The error message states that it couldn’t connect to the SQL Server so there must be something wrong. I suggest you try to telnet to port 1433 to re-verify if the SQL Server is accepting request or not. If telnet can connect, then try to change hostname on the connection string to an ip address of your computer. If it still doesn’t solve the problem, can you show your source code? I had the same problem, that made me waste an entire day looking for a solution. and I got the connection working. This is my connection string. the IP,Database,user and password are strings. Please help me out , so i can deliver my project to the client. My problem is solved. The above error comes due to the package problem. Just i had to move one image from one package to another. i am getting the error as communication link failure. will u pls tell me how to solve this?? I’m using Netbeans 6.8 and SQL server 2005, sqljdbc driver. Really helpfull. At least I was able to connect to SQL Express 2008. Thank you for posting these information. I was able to configure even I am using SQL 2005. SQL Exception: com.microsoft.sqlserver.jdbc.SQLServerException: The connection string contains a badly formed name or value. Exception in thread “main” java.lang.UnsupportedOperationException: Java Runtime Environment (JRE) version 1.6 is not supported by this driver. Use the sqljdbc4.jar class library, which provides support for JDBC 4.0.
i am trying to connect sql and netbeans but geting error.. plz help me linglom..
sir i m using netbeans ide5.5 and tomact server 5.0 and ms sql server 2005. there is no error in my coding but still cant insert data into database. is there any settings in netbeans and ms sql server after installation or if any error in coding just plzzz help me its my project. I got the same problem that user “Modh Farham” with my NetBeans 7.2 trying to connect MsSqlServer 2000, so I tried via ODBC but I got a new error: length of String or buffer invalid. Could anyone help me, please? Thanks! sir i am using net beans 7.4 and ms sql server 2008. i am trying to connect my netbeans with sql server. please tell me what will be error there? when i login from management studio by providing user name and password , i successfully login , but facing problem when i try to login via netbeans.